Health technology in particular, digital health technology is having a remarkable influence on healthcare access, delivery, and outcomes throughout India and the world. Its potential to transform public health for the better is truly limitless. 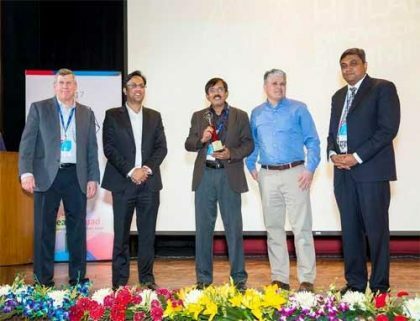 It was therefore exciting to witness experts in this wide-ranging yet highly specialized field share their immense knowledge at the 2017 HITLAB Innovators Summit: India, held February 16-17, at the Indian Institute of Technology, Delhi. The event was developed by HITLAB®, a healthcare innovation lab that helps leading organizations ideate, create, evaluate, and diffuse technology-based solutions to improve the quality and accessibility of healthcare worldwide. Participants were inspired by the engaging talks, panels, and networking opportunities focused on “Empathy-Driven Digital Health Innovation: Improving Health Outcomes by Understanding the Needs of the End-User.” For example, the heads of Fortis, TCS, IBM, and Boston Scientific offered evidence on immensely relevant content that will have real impact for digital health innovators and effectors everywhere. The highlight of the Summit was the HITLAB World Cup: India, which challenged innovators to design original solutions for pressing healthcare challenges. Sponsored this year by Health quad, with mentor ship support from Quadria Capital, the competition featured five outstanding finalists: Health Vectors, eKincare, Apcegen, Zeolr Technologies, and Wide Heart Solutions.Health Vectors was the grand prize winner, while eKincare was the runner-up. HITLAB remains determined to address healthcare challenges in India and throughout the world. Its HITLAB World Cup: India and HITLAB Innovators Summit: India are carefully constructed to advance digital health innovation in the region. The annual events provide outstanding opportunities to increase healthcare productivity, affordability, and accessibility. Most importantly, the exceptional solutions that emerge go a long way toward improving health outcomes and, in turn, lives.